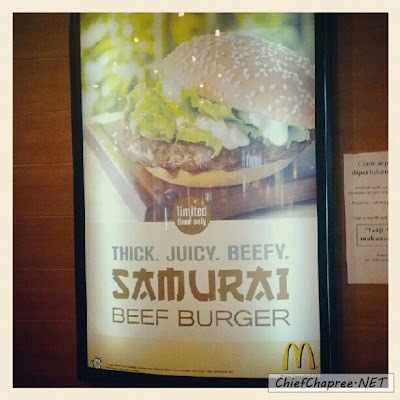 I can’t remember the exact period but I believe it was more than a decade ago (I was still in school back then) since McDonald’s offered Samurai Burger as part of their menu. It was before (again, if my memories served me correctly) Prosperity Burger and I believe many of you out there still remember about it. 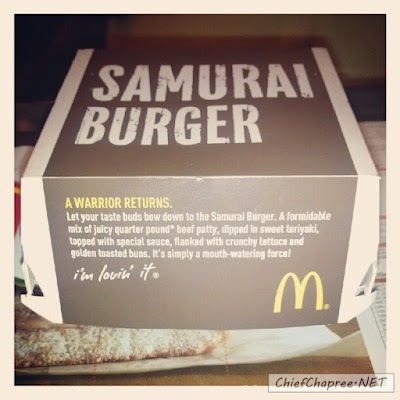 I don’t get to eat much McDonald’s back then as it was considered rather premium by my parents, so naturally I never get to taste Samurai Burger…until recently. 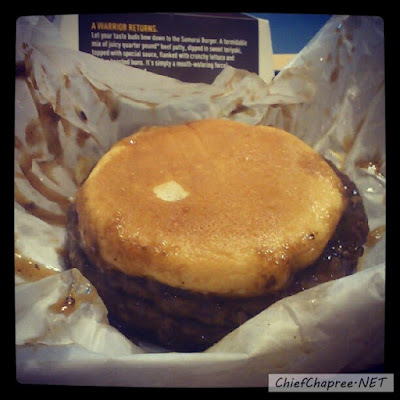 Yup, Samurai Burger is back. Ok, it is more like McDonald’s first offered it (UNANNOUNCED) only at a handful of McDonald’s branches around Klang Valley for just one week and then, it disappeared. Really, that was exactly how the story went. Those who followed my Twitter or Instagram and my Facebook friends would remember that on the day of Adidas King of The Road [here's my race report of the event], I actually had Samurai Burger as my lunch (and my post-run reward) at McDonald’s Sunway Pyramid. 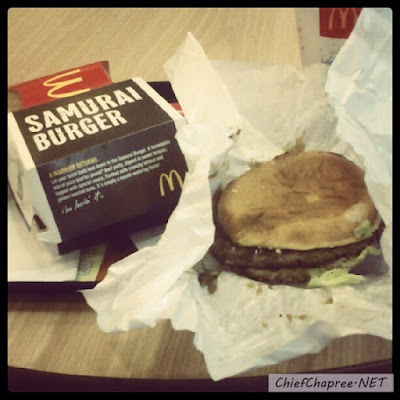 I then had another serving of the burger - in its Double Samurai form - for dinner at the same branch. On the following day, my housemate actually went to the same branch but was told that Samurai Burger is no longer on the menu. He was not the only one though as many of my friends were frustrated as well when they received similar reply at other listed branches. That being said...don’t fret if you feel that you are missing the Samurai Burger train as it will be back on McDonald’s menu tomorrow, September 20! This news was first delivered to me by gnomeMY who received a SMS from McDonald’s earlier today and I’ve also confirmed it with a staff at McDonald’s Mid Valley during lunch. 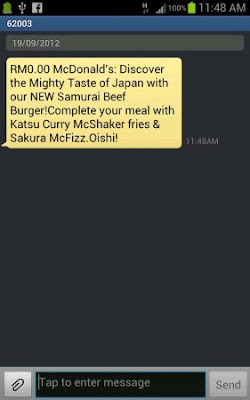 Furthermore, the proper Samurai Burger menu will also be accompanied by Katsu Curry McShaker Fries and Sakura McFizz which were missing from the initial one-week limited run. Well, you can already guess what I’m going to have for lunch tomorrow then…I’m going to take it as my last megafood before I resume training for the upcoming Nike We Run KL 2012, lol. Follow me on Twitter at twitter.com/chapree and Instagram via this ID: chapree2277. Also, check out Lowyat.NET for daily tech goodies on weekdays!